Amit is Director of New Ventures at Bupa. He is an entrapreneur responsible for incubating, testing and scaling innovative and compelling customer propositions. He is a start-up advisor and a tech enthusiast with keen interest in exponential technologies (e.g. Blockchain / DLT, ML / AI etc) and their application in healthcare and insurance. 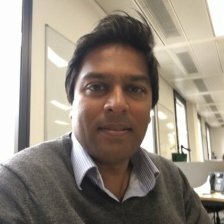 Previously, Amit has held several Senior Roles at Bupa including Strategy & M&A Director for Bupa UK. Prior to Bupa, he worked as a Strategy Consultant at LEK – a top tier Strategy Consulting firm – advising Fortune 500 companies and private equity investors on growth strategy and M&A. Amit started his career in Medicine and trained as a General Surgeon working in the NHS.